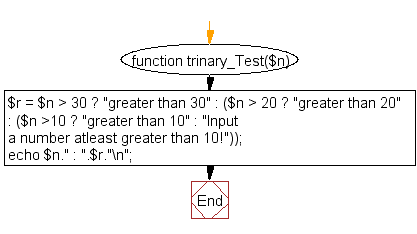 Write a PHP function to test whether a number is greater than 30, 20 or 10 using ternary operator. 4 : Input a number atleast greater than 10! Previous: Write a PHP script to get the last occurred error. Next: Write a PHP script to get the full URL.